Dear Members: Well, it’s October in New Orleans; the air is refreshing, yet not cold. The temperature is in the 70s and very comfortable. We are sad to report the deaths of some of our most popular artists in jazz – since the last issue I regret to report the loss of several of your favorite artists; on August 13, 2009, we lost Les Paul at the age of 94 from complications of severe pneumonia; he died in White Plains NY; I am pleased to announce the release of a new compact disc with Les Paul called “After You’re Gone;” it was recorded for World Transcriptions which we acquired in 1961; it features the amazing Les Paul guitar with his trio .On August 29, 2009, we also lost Chris Connor, a very beautiful and wonderful singer who came to fame with Stan Kenton and his orchestra. She died on Saturday in Toms River New Jersey,where she lived all her life; she was 81 years of age. Now, on September 1, 2009, we lost Eddie Higgins, a fine pianist; he recorded for many labels including our Solo Art Label. 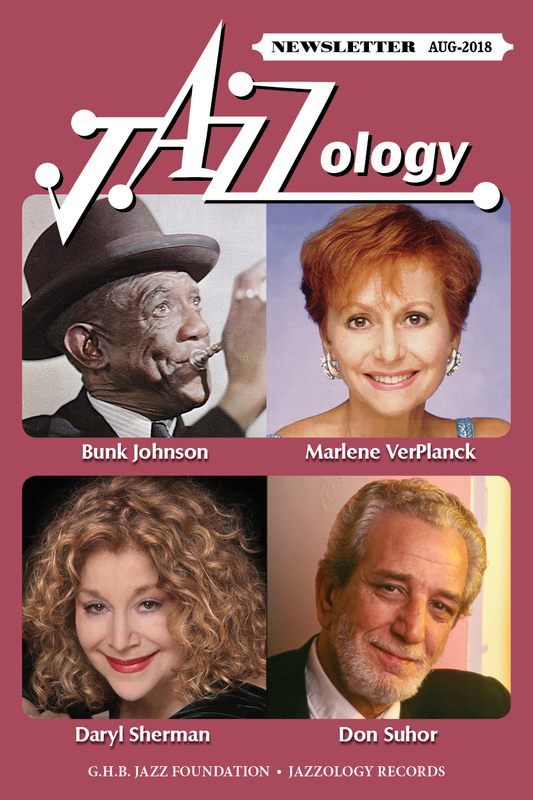 So now to kick off our new Autumn releases, and the 60th anniversary of Jazzology Records, we have our 4th Jazzology Sampler, JS-4; which features Randy Sandke and Judy Kay,Doc Evans and many, many more. This CD contains over an hour of exciting jazz on Jazzology, and will give you years of listening pleasure, plus introduce you to many CD’s you may have missed in your years of reading JazzBeat magaszine. Our non-member price is $3 and member price is only $2. What a deal! Now for our 60th Anniversary releases, we have JCD-151, Wild Bill Davison in Europe, featuring Chuck Hedges, Bill Allred, legendary bass player Jack Lesberg, Fred Hunt on piano, and the amazing Barrett Deems on drums; this is a re-issue of LP J-151. As you know, Wild Bill Davison died on November 14, 1989, but still lives in the memory of Jazzology Records from his first session recorded on August 16, 1949 to this 60th anniversary release. 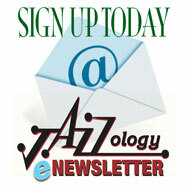 Next on Jazzology is JCD-373/374; it is called Butch Thompson and His Jazzband, which includes Charlie DeVore on cornet, Frank Chace and his wonderful PeeWee Russell -style clarinet, John Otto on clarinet and alto sax, and of course a legent of jazz on piano, Butch Thompson and his magnificent piano; on guitar is Jack Meilahn; Bill Evans on bass from the Hall Brothers Jazzband; and Hal Smith, swinging the band as only he can do in jazz. This is a two-disc set with over two hours of listening pleasure. Next on Jazzology is JCD-377, The Jazz Hot Ensemble Encore, Volume 2 from New York. We acquired the CD from Stan Levine; it features, John Bucher on cornet, Dan Levinson clarinet and C-melody sax,Hank Ross on piano, Aaron Weinstein on violin, Vince Giordano on string bass and bass sax, Nick Russo on guitar and banjo, and Stan Levine on drums. This session was recorded for Jazzology by Stan Levine and is a second CD by this outstanding group. Be sure to get this recording, plus the other CD, JCD-242, The New York Jazz Hot Ensemble, Vol 1; next on Jazzology, it’s JCD-378, Chris Tyle and His Chicago jazz band in Tribute to PeeWee Russell,, the legendary pioneer of Chicago jazz. Chris Tyle is on clarinet, Ray Skjelbred on piano, June Smith on guitar, Katie Cavera on bass and solo guitar, and Hal Smith back once again propelling the entire band with his exciting drums. Finally on Jazzology, we have JCD-379, Earl Hines with Allen Hare and his swinging big band with Earl Hines and his dynamic piano and rhythm, and sounds of the Earl Hines orchestra recorded in the 1970’s; so I think you will find these records of great interest to all JazzBeat readers. Now on GHB, I am really pleased to announce the release of a new Yerba Buena Stompers, Duff Campbell Concerts, Take us to the Land of Jazz, featuring the two powerful trumpets of Leon Oakley and Duke Heitger, the driving trombone of Tom Bartlett, plus Orange Kellin on clarinet, along with Ray Skjelbred on piano, plus Vince Saunders on banjo, Ray Cadd on tuba, and the leadership and drums of John Gill formerly from the Turk Murphy jazz band leading this powerful band on drums; special guest is Pat Yankee taking the vocals and Robbie Rhodes on piano. It will really curl your hair, and is one of the many highlights of this exciting 60th anniversary release – Take Us to the Land of Jazz, and you’ll know it when you’re there, as you listen to this exciting session. Next on GHB is BCD-116, Sharky Bonanno and his Kings of Dixieland, taken from Joe Mares’ Southland label which we purchased in 1963; this CD consists of the artistry of Waldren “Frog” Joseph on trombone, the definitive and imaginative clarinet of Raymond Burke; also on clarinet and tenor sax is Louis Cottrell; the exciting Armand Hug ; Chink Martin is on string bass and Paul Barbarin is on drums. Added to this reissue from Sounthland is Sharkey Bonnano, with Doc Souchon and his Milneberg Boys with Bill Crais on trombone, Pinky Vidacovich on clarinet, Doc Souchon on guitar, Sherwood Mangipanne on string bass, and Monk Hazel on piano. Next on GHB we have BCD-123, Emile Christian and his New Orleans JazzBand; this is another session from Joe Mares and his Southland label. The all-star personnel consists of Mike Lala on trumpet the tasteful, Bob Havens on trombone, Harry Shields on clarinet, the distinguished Armand Hug on piano, Joe Capraro on banjo, Emile Christian on string bass and trombone, and Monk Hazel on drums; this was recorded on August 9, 1959, in New Orleans LA. Raymond Burke replaces Harry Shields on a couple of tunes. This is a fine new complete CD with additions by Sharkey and his Kings of Dixieland. Next on GHB is BCD-166, Capt John Handy with Geoff Bull & Barry Martyn’s Band, recorded in London, April 12, 1966; Barry Martyn is on the Board of Directors of GHB Jazz Foundation and has contributed a lot of recent sessions to our label; he plays fine drums in New Orleans tradition, and his accents spark the band. The next one is BCD-489, Let’s All Go Down to New Orleans, recorded live at the Palm Court Jazz Cafe before an appreciative audience of New Orleans jazz fans and features the Maryland Jazz Band of Cologne and Lillian Boutte on vocals Recorded in beautiful stereo, this is a nice session I’m sure you will enjoy. Lillian makes her home in Europe but returns on a regular basis to New Orleans, her home town, quite often. Finally on GHB is BCD-506, Jack Delaney and His New Orleans Jazz Babies; this combines three sessions –Jack Delaney, Doc Souchon and His Patients, and Sharkey and His Kings of Dixieland, recorded in the mid-50’s; a wonderful CD, packed with three groups of exciting New Orleans jazz, all studio recorded with beautiful sound quality. 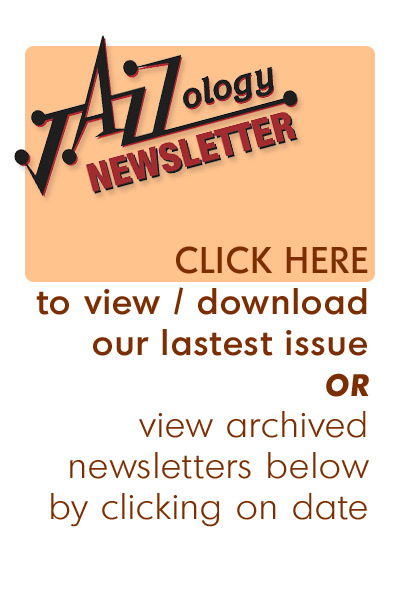 That’s it for the 60th anniversary issue of JazzBeat magazine. I might mention that Marlene VerPlanck will be at the Johnny Mercer Auditorium in Savannah Georgia on November 15 with a program of all Johnny Mercer material. It will be a concert you will be sorry you missed if you’re not there. Savannah is a beautiful, historic southern seaport city in Georgia.